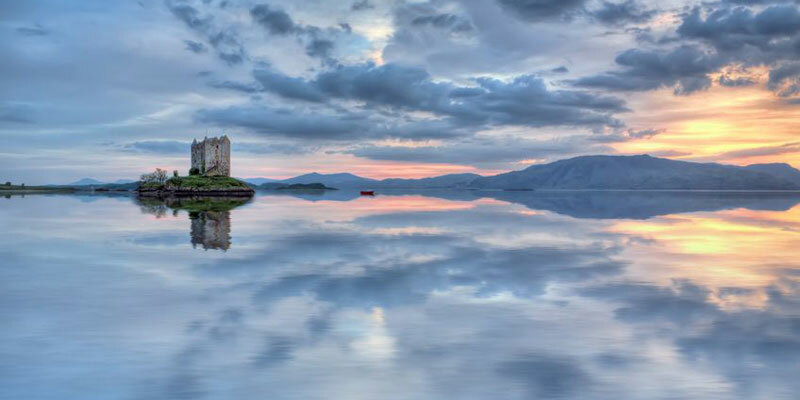 Argyll and Bute, is located on the west coast of Scotland, and is one of the most beautiful and diverse regions in Scotland, with over 3,000 miles of coastline and 25 inhabited islands, including Iona, the Isle of Mull, and Bute itself. Argyll is the ideal destination for an activity holiday and perfect for those looking for something a little gentler. You will never be short of things to do; it is home to 14 world-class distilleries, three links golf courses, over 60 castles/forts and 25 uninhabited islands to explore. For cyclers and walkers, there are plenty of quiet roads, spectacular coastal scenery, gentle routes or hard-core mountain passes and quaint cafes. Explore the area on one of the many boat trips to view the variety of wildlife on offer including otters, seals, puffins - even whales and dolphins. Whatever you do in the area, there is plenty of holiday accommodation, from family run B&Bs to beautiful holiday cottages. Argyll and Bute was the location for the filming of several scenes in the Outlander TV Series. Check out our dedicated Outlander Locations page for the full list of locations, and accommodation in those areas. Click here for more information. This wonderful garden forms a horticultural tour around the world with a collection of Blue Tibetan poppies and Chatham Island forget-me-nots. A Distillery in Campbeltown. Set up 10 years ago. Springbank Distillery is unique. It is the oldest independent family owned distillery in Scotland. Trips to Eigg, Muck and Rhum and wildlife trips, spot dolphins, basking sharks and minke whales.